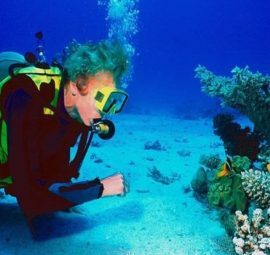 The southern coast of the Gulf of Aqaba, between Tiran Island and Ras Mohammed National Park, features some of the world’s most amazing underwater scenery. The crystal-clear waters and incredible variety of exotic fish darting in and out of the colourful coral reefs have made this a scuba-diving paradise. Purpose-built Sharm El Sheikh occupies a prime position here, devoting itself solely to sun-and-sea holidays offering a family-friendly vibe and resort comforts, with world-class diving thrown in. "Lonely Planet"